High-class Two-Bedroom Apartment is set in the real heart of breathtaking Rovinj. Providing one-of-a-kind views of the sea, it is located just a 5-minute walk from the Baroque Saint Euphemia’s Cathedral. Free internet access and car parking are provided. The apartment is luxuriously furnished and presents a well-equipped kitchen with a dining area, a toilet with shower and a living room with a TV. There is also a sofa and armchairs in the living room. This sizable apartment is also equipped with satellite television and air-conditioning. The sea can be reached in just 50 metres from the apartment. The centre of colourful and energetic Rovinj offer innumerable eating places, clubs, shops and galleries. Main Bus Station is 100 metres away, while Pula Airprort can be reached in 35 km. Apartments Ana City ~0,1 km, Rovinj price per day from € 90 Situated in the real heart of the vibrant city of Rovinj, Apartments Ana Town presents an air-cooled apartment with an one-of-a-kind view of the sea and free car parking. The seafront can be reached in just 10 metres. Apartment featuring a well-equipped kitchen with a dining area and a dishwashing machine, a toilet with shower and washing machine and satellite television in the living room. A grocery shop can be found just 50 metres from the apartments, as well as eating places, clubs and coffee shops. A rocky beach can be found 500 metres away. Luxury Two-Bedroom apartment ~0.1 km, Rovinj High-class Two-Bedroom Apartment is set in the real heart of breathtaking Rovinj. Providing one-of-a-kind views of the sea, it is located just a 5-minute walk from the Baroque Saint Euphemia’s Cathedral. Free internet access and car parking are provided. The apartment is luxuriously furnished and presents a well-equipped kitchen with a dining area, a toilet with shower and a living room with a TV. There is also a sofa and armchairs in the living room. This sizable apartment is also equipped with satellite television and air-conditioning. The sea can be reached in just 50 metres from the apartment. Rovinjsko Selo ( ~ 6.9 km ): 35+ villas/holiday houses. Vrsar ( ~ 8 km ): 95+ accommodation units. Matohanci ( ~ 10.3 km ): 66+ accommodation units. Funtana ( ~ 10.8 km ): 79+ apartments, 19+ villas. Montizana ( ~ 11.9 km ): 62+ villas/holiday houses. Bale ( ~ 12.4 km ): 46+ apartments. Beach Monte, Rovinj ~ 0,5 km from Luxury Two-Bedroom apartment Rocky beach: recommended for young people, with restaurant, with caffe bar. Beach Lone, Rovinj ~ 1 km from Luxury Two-Bedroom apartment Gravel beach: ideal for families, with restaurant, with caffe bar, equipped with showers. Excellent choice of watersports. Beach Kurent, Rovinj ~ 1,7 km from Luxury Two-Bedroom apartment Gravel beach: ideal for families, with caffe bar. Excellent choice of watersports. Beach Vestar, Rovinj ~ 1,7 km from Luxury Two-Bedroom apartment Gravel beach: ideal for families, awarded with blue flag, with restaurant, with caffe bar, equipped with showers. Excellent choice of watersports. Beach Gustinja, Rovinj ~ 1,8 km from Luxury Two-Bedroom apartment Gravel beach. Nudism is allowed. Restaurant Mezza Brenta, Rovinj Guest reviews: 7,6/10 ~ 2,7 km from Luxury Two-Bedroom apartment Address: Polari bb, Rovinj. Cuisine: European cuisine, German cuisine, Italian cuisine, Mediterranean cuisine, Pizza, Continental cuisine, International cuisine, Croatian cuisine. Restaurant Masera & Bar, Rovinj Guest reviews: 9/10 ~ 3 km from Luxury Two-Bedroom apartment Address: Polari 14, 52210, Rovinj. Prices: 78 HRK - 190 HRK. Cuisine: Mediterranean cuisine, Seafood, Croatian cuisine, Grill. 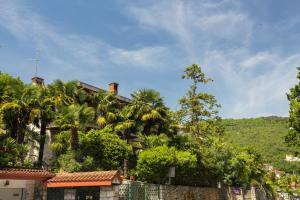 Restaurant Val Carpana, Rovinj Guest reviews: 10/10 ~ 2,4 km from Luxury Two-Bedroom apartment Cuisine: Bistro. 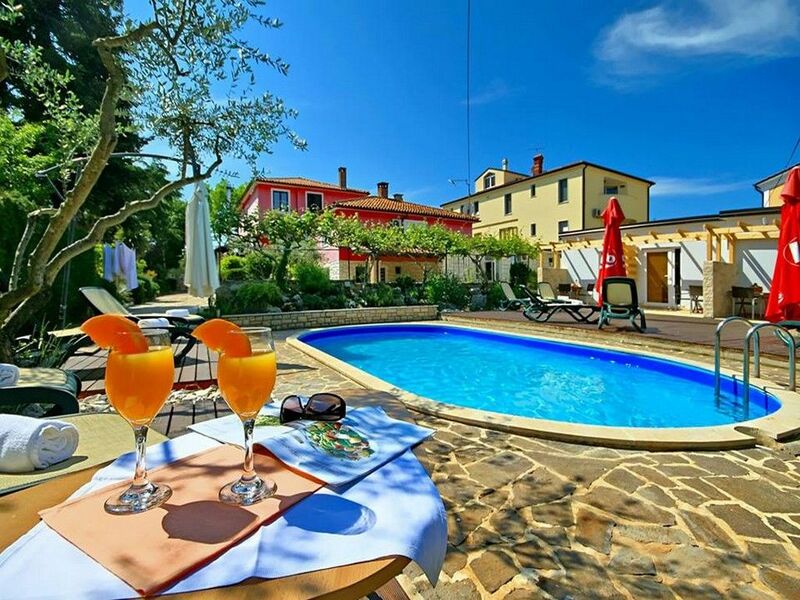 Restaurant La Puntulina, Rovinj Guest reviews: 8/10 ~ 1,4 km from Luxury Two-Bedroom apartment Address: Sv. Kriza 38, Rovinj. Cuisine: Croatian cuisine. Restaurant Wine Vault, Rovinj Guest reviews: 9,2/10 ~ 0,8 km from Luxury Two-Bedroom apartment Address: A. Smareglie bb, 52210, Rovinj. Cuisine: French cuisine.